Each carver is made of surgical grade stainless steel with a sure grip handle. 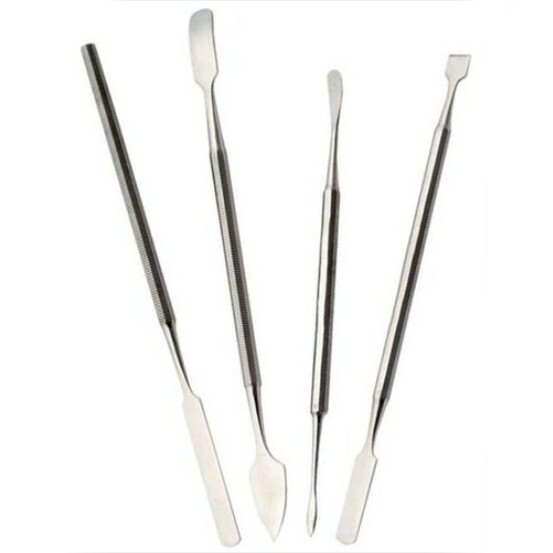 A set of 4 amazing carving tools that last for a long time that comes with a carrying sleeve. These tools are ideal for detail work in carving, sculpture, and jewelry making. With a nice textured and angled grips to ensure that you have a nice hold and that the tools will not roll around when set down.